- Signed, Limited Edition digital print on Hahnemuehle paper. - Each print has also been autographed by Stephen. 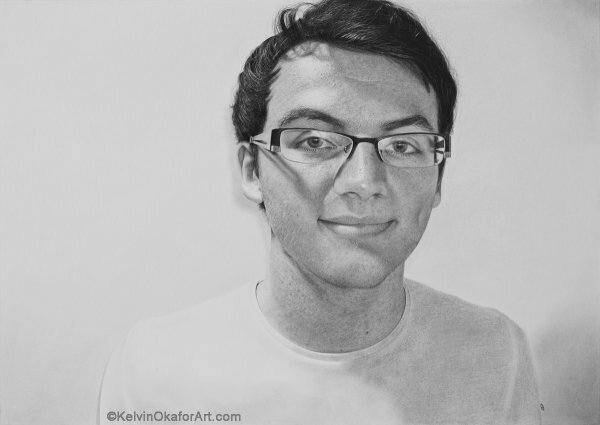 - Original Drawing by Kelvin Okafor was made with Faber-Castell graphite pencils, black charcoal and black coloured pencil on Daler Rowney acid free smooth cartridge paper and donated to the Macmillan De'Longhi Art Auction which will take place at the Royal Academy London September 2013. - Completed 31 May 2013. - £100 from the sale of each print will be donated to the Teenage Cancer Trust in Stephen's name.